Sumatra kratom is a medicinal herb that its discovery thousands of years ago has seen a lot of people use it due to its relieving and relaxing effect. As the name suggests, it is a native plant of Sumatra, an Indonesian island. 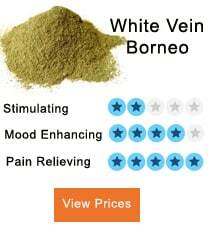 The species has three different strains which are red kratom, green kratom, and white kratom. Their effects are slightly different, but they are well known for relieving pain, reducing stress and inducing a feeling of alertness. Of the three strains, green Kratom is preferred over the two herbs, and its high demand has led to rapid growth of the herb. But it is not until you try, that you will realize the difference between them. This article will in detail explain the effects of these strains, recommended dosages, their side effects and why the green Sumatra Kratom is the best herb over the other Sumatra kratom. Unlike other Sumatra Kratom, this strain gives a wide range of impact due to its energy boosting effect. It increases your level of alertness by preventing sluggishness and drowsiness. Also helps in relieving both acute and chronic pain and improves attention as well as increasing focus. It is recommended for people who experience symptoms associated with anxiety. Some other conditions such as mild stress are easily treated by using the herb as it elevates the mood. The psychedelic effect induced by consuming the herb helps improve confidence levels thus helpful in socializing. A user who tends to start using Green Sumatra kratom can consume 1 gram per day but can increase to 5 gram per day if you are looking for stronger and lasting effects. This is another favorite strain that is recognized for its energizing feeling. It acts as a stimulant where it elevates mood, enhances alertness and enhances concentration. In some instances, it is used to increase wakefulness by letting go of sluggishness, fatigue, and lethargy. Its stimulating effect generally, counters anxiety and prevents you from restlessness. The effects caused by this herb are diverse as they depend on the amount of dosage consumed. Consuming low amounts will give a stimulating effect which tends to make an active person while at high amounts, it performs as an analgesic which is a relaxation feeling. • 2 to 4 grams per day is for beginners who need to experience the stimulating effect and relaxation. • 6 to 8 grams of dosage per day is recommended for those who need to get rid of chronic pain. 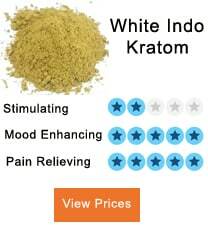 Consuming White Sumatra kratom above 8 grams can be extremely dangerous. 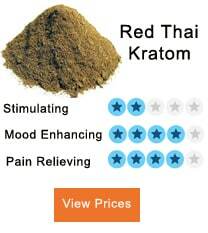 Just like other Kratom, this strain reduces the levels of stress and makes you feel relaxed. It helps you achieve a state of calmness, relieves tension, and soothes the nerves thus promoting positivism and increases confidence. It is also recommended to treat cases of insomnia and other disorders associated with sleep. • 4 to 5 gram is sufficient for people with high tolerance and who are looking for a stronger and longer lasting effect. Exceeding consumption of Red Sumatra Kratom above 6 grams can cause devastating effects to the body. The plant has leaves whose veins are different in color, and the three colors include red, white and green. The difference in colors means a lot to the plant as it is caused by the different concentration of the alkaloids which gives a range of effects. The green vein Sumatra is the most preferred as its results are between the potent red effect and the white soothing effect. The following are the reasons that make the green-veined kratom different from other strains. All the three strains contain alkaloids which are responsible for the psychedelic effect, but their ranges and concentration is the one that matters when going for the best herb. The green-veined strain is said to have alkaloids which are diversified thus giving it a soothing, mood lifting, relaxing and active characteristic compared to other strains. You expect something with such amazing effects to be pricey, but that’s not the case. 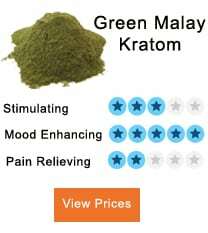 You can get green Sumatra Kratom at the price of standard strains. There are plenty of online vendors who are willing to sell the herb, but it’s advisable to check the reviews of the site to determine its credibility and trust. Just think of using minimum dosage to get maximum to relieve. The amount of the strain needed to be consumed to reduce stress and get rid anxiety is 10.0 grams. High doses are not recommended due to development of tolerance or dependence in the body causing addition. The benefit of consuming medium doses is that you get maximum positive effects in the body and you reduce the chances of having unwanted effects. 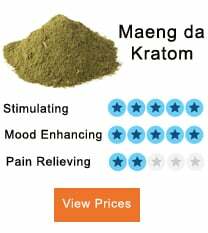 All in all, Kratom is a recommended herb that does not damage the body if used in the right quantity. 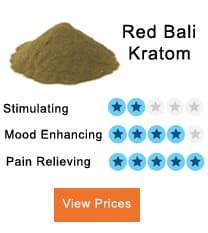 Addiction is another side effect of using kratom due to long-term use of high doses but green Sumatra Kratom is an easy solution to go as just minimum dosage is required to relieve stress and get rid of anxiety. There have been fewer cases that indicate the severe side effects of kratom use, but under high dosages, severe side effects like seizures can experience. Do not hesitate to try out these three strains whenever you need relaxation, getting relieved from pain, eradicating stress and anxiety.